By his own admission, Elton John has himself condemned this album as his worst ever. He has confessed to be completely coked-up during much of the recording and expressed a sympathy for producer Gus Dudgeon, who had to try and cope with him as he took "a bag of coke a day". Amazingly, it is co-written with Bernie Taupin. The muse seemed to have temporarily left both of them. It is not quite as bad as many would have you believe, but it suffers from the awful eighties malaise of layered swathes of synthesisers in the backing, which swamped Elton's piano almost completely. Lots of bands/artists feel victim to this at the time - The Rolling Stones, Bruce Springsteen, Rod Stewart, Queen, David Bowie and even Bob Dylan, so Elton was not alone. The red cover also was a victim of ludicrous eighties posturing. The title track is, funnily enough, quite a good one an upbeat rocker that would have sounded pretty good with electric guitar and piano instead of synthesiser riffs. I actually quite like the hooky, lively ballad "Hoop Of Fire". It is one of the best tracks on the album. "Don't Trust That Woman" is, let's face it, pretty awful, both musically and lyrically - one of Bernie's worst ever. It is full of terrible eighties instrumentation and an affected disco-ish vocal from Elton. The lyrics are best not commented upon. "Go It Alone" is vibrant and riffy enough, but the whole ambience and electronic keyboard backing is just pretty uninspiring and, again, the lyrics are totally unimaginative, which is unusual for possibly the finest lyricist this country has produced. Thankfully, on "Gypsy Heart" we actually get to hear Elton's piano. It is nice, slow, melodic ballad with a strong vocal. It is one of the stronger songs on the album. 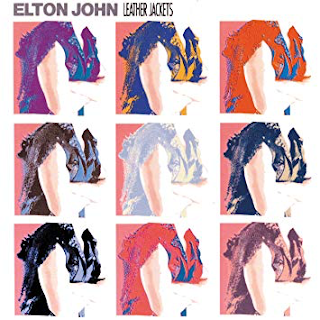 What is odd about Elton's albums in the eighties, though, is that they veer from good to patchy in a literally one good/one patchy series, starting with 1981's "The Fox" (good), to "Jump Up" (patchy), "Too Low For Zero" (good), "Breaking Hearts (patchy), "Ice On Fire" (good), this one (patchy), "Reg Strikes Back" (good). "Slow Rivers" is a duet with Cliff Richard and it is acceptable, but, as with much of the material, just seems somehow unrealised. Elton has said that "Heartache All Over The World" is his worst song of all time. It is hard to disagree with him. It is like some of the supposed "disco" stuff that Queen put on their "Hot Space" album. Positively dreadful. "Angeline" is not much better, possibly even worse, with an awful "oh-oh-oh" vocal intro. Yes definitely, this worse than "Heartache". Ironically, John Deacon and Roger Taylor of Queen play on the track. "Memory Of Love" is a completely ordinary ballad. It is not so much the music here, it is actually the lyrics. Quite where Bernie's mind was at the time is unclear. The last two tracks see an improvement. 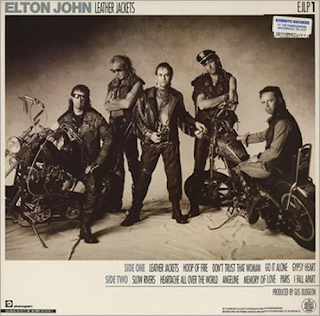 "Paris" is an appealing, melodic number with quite a catchy hook, while the stark, solemn ballad "I Fall Apart" seems to sum up Elton's situation at the time. I can't really recommend this one, other than as a perversely interesting curiosity.